YOUR LIFE. YOUR ADVENTURE. YOUR CAP. Panther Vision Frogging Light. 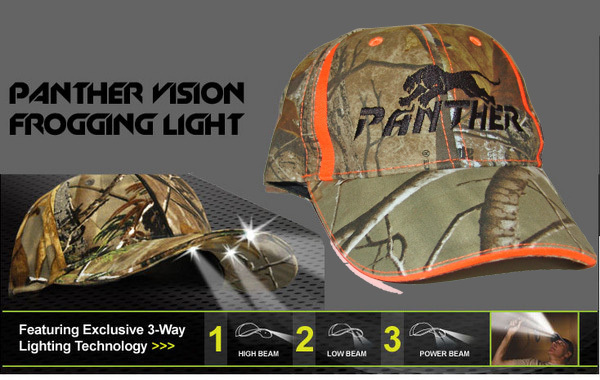 The New Panther Vision hat light is the "ultimate hands free flashlight"!! 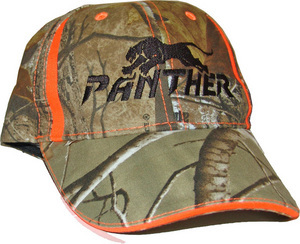 This hat looks just like every other premium quality ball cap. 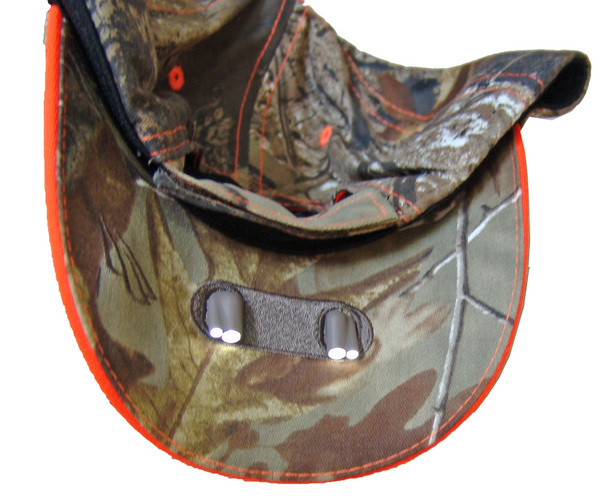 Premium, 6 panel hat with sandwich **trim, premium comfort sweatband and durable Velcro closure. One Size Fits Most. Exclusive 3-way lighting technology lets YOU choose the light that is right for your specific needs. Provides light up to 50ft away and can be visible from over a mile. 4 CR-2032 Lithium coin cell batteries are concealed in the sweatband, provide up to 75 hours of continuous light and are easily replaceable.